Amazon first stirred up conversation in Oakland and in Pittsburgh when the Seattle-based electronic commerce company opened a pickup location on Oakland Avenue in October. The City was launched into one of the biggest national business stories in recent memory when Amazon announced in January that the Steel City was one of 20 finalists for the company’s upcoming second headquarters. Since then, there have been public forums on the possibility of Pittsburgh becoming Amazon’s second home, pleas from Mayor Bill Peduto to the company and a recently reported visit from Amazon representatives to Pittsburgh. According to reports confirmed by Peduto, Amazon came to visit Pittsburgh and look at potential building sites in April. The potential arrival of Amazon’s HQ2 has been a divisive issue around the City and in Oakland specifically. The company has promised a reported 50,000 jobs if it were to come to Pittsburgh, but community members pointed out possible negatives Amazon’s arrival could create at two community forums in Oakland back in February. Waverly Duck, the head of the Urban Studies program at Pitt, questioned the benefit of bringing Amazon to Pittsburgh back at the first community forum at Parran Hall Feb. 8. “Amazon was very clear about what’s in it for them, I think that we should start asking what’s in it for us,” Duck said. His concerns were echoed by at the meeting by William Generett Jr., the vice president of community engagement at Duquesne University. Amazon also became a topic of debate during the campaign trail for the District 8 City Council seat back in February and March. 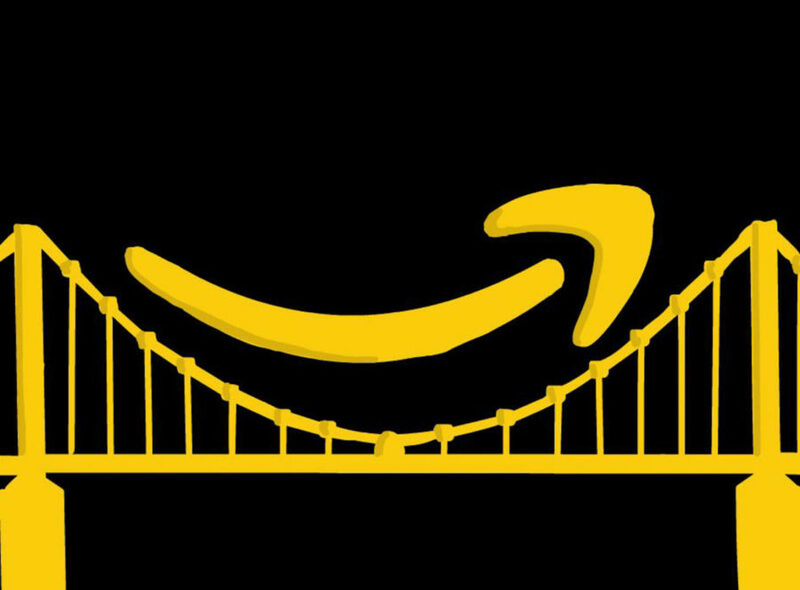 One of the candidates, Sonja Finn — who received the endorsement of the Pittsburgh Democrats in the race — feared what Amazon would do to the City’s housing prices. Peduto has also been a strong proponent of Amazon since it announced Pittsburgh as one of its finalists. In an interview with Geekwire in January, Peduto said he wants to work with Amazon while being aware of the problems that have arisen from the company’s headquarters in Seattle. Peduto has come under fire from some Pittsburgh residents for his refusal to release the details of the City’s proposal to Amazon. Mila Sanina, executive director of the Pittsburgh-based investigative journalism website PublicSource, criticized Peduto for refusing to release the details of Pittsburgh’s plan at another public forum Feb. 12 after other finalists like Philadelphia made their bids public. Pittsburgh’s Office of Open Records ordered the City of Pittsburgh and Allegheny County to release the details of the bid Jan. 24. The City and county appealed the decision Feb. 23. The details of the bid have still not been publicly released. The debate around Amazon and the consequences of the possible arrival of its second headquarters will remain a hot-button issue around the City as the company has no set decision date. A decision is only expected to be made some time later this year.